Ideal for those that live with dust-related allergies, 64723 3M Filtrete vacuum bags help to improve the performance of Hoover bottom-fill convertible models that use Type C bags. Using 3M microallergen technology, these bags will help to capture up to 90% of indoor dust, dust mite debris, pollen and more. For best results, replace every one to two months, based on frequency of usage. 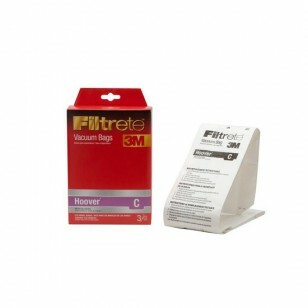 Stock up on the 64723 3M Filtrete vacuum bags you need by ordering this three-pack from us today.